What do you think is this ??? This image belongs to a famous temple Maa Chamunda Tekri in Dewas. Generally its a saying in Hindu and Muslim religion that if you tie a thread or band in temple somewhere, it may get your 1 wish come true. But till now I was believing and noticing this thing working with "Thread" only. 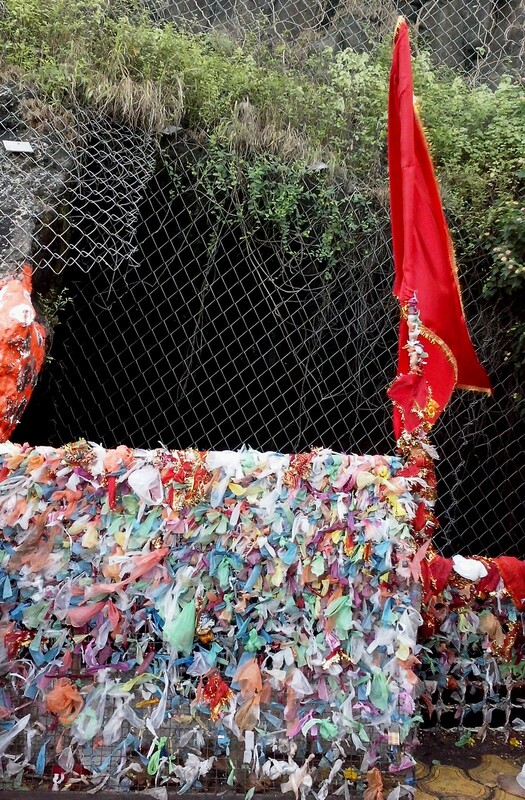 Today I watched a gate of temple packed of small polythene packs. People are actually using incense sticks in temple and the polythene packet of these sticks to get their wish come true. Interesting isn't it . . . It happens only in India !! !